Awesome place to get a title loan. My experience was easy and very nice people . Kiara was very professional and knowledgeable. very helpful and nice , helped me with a rewards loan. was very nice and helpful.. Very good service and very competitive rates. The staff was friendly and knowledgeable.Check them out! The staff here are AMAZING!! I came in and they helped me with everything, I couldn't recommend them more. It was a fast and easy process - it's never any easy decision to get a title loan but if you absolutely have to, like I did, then I couldn't advise you to do it here any more!!! Great customer service and made everything very easy and stress free. Recommend their services 100%!! Thank you so much!! Excellent customer service. Very professional staff. I'm very happy with the services provided. Kiara is amazing. So easy to work with. Quick and efficient and helped every step of the way. Kiara had great and very fast service with quick updates. I was very pleased with the services that I recieved today! 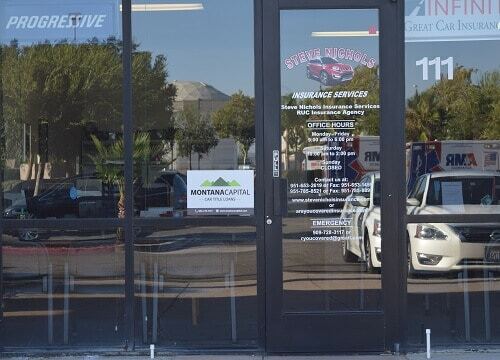 The Elsworth Street Montana Capital Car Title Loans in Moreno Valley Branch has been providing the residents of Moreno Valley with car title loans since June 7th 2017. 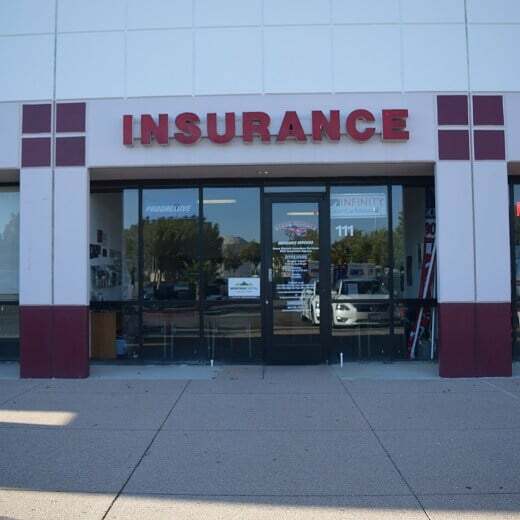 We rent a space inside the store of Steven Nichols Insurance Services. The store is located at 14420 Elsworth St Suite 111 between Goldencrest Drive and Cactus Avenue. 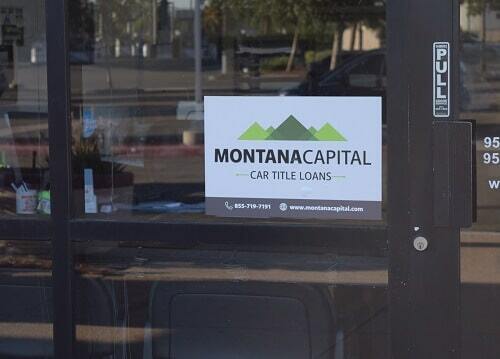 If you live in Moreno Valley and in need of quick cash, stop by the Elsworth Street Montana Capital Car Title Loans in Moreno Valley Branch. We are providing all our customers with unsurpassed customer service. It can be really frustrating to wander through the shops in Moreno Valley if you’re between paychecks. But don’t resort to using expensive credit cards for your new purchases. Instead, use your car as security for a car title loan. Send in your online application to Montana Capital Car Title Loans in Moreno Valley. If you can prove the ability to repay the loan, you might be qualified one. These car title loans are simple to apply for and bad credit applicants are welcome. No matter what your current situation is, if you own a car then you can apply online to Montana Capital Car Title Loans in Moreno Valley. If you have a computer at home then go online right now, no matter what time it is, and fill out the online application. We need to know your basic information for identity purposes, but pay special attention to the questions about your car. We approve auto equity loans application based on our credit criteria, which include your ability to pay the loan and your car’s value. Apply today for secured loans in Moreno Valley, CA. Send in your car title loan application online. During our regular office hours, one of our staff members will go over your application and let you know if we can help you with an auto title loan. If you are approved, we will process the cash as quickly as possible so that you don’t need to wait long. Our minimum pink slip loans amount are $2,600 and can be used for any purpose whatsoever. We have a staff waiting to hear from you! Contact us and let’s see how we can help you with a cash loan.